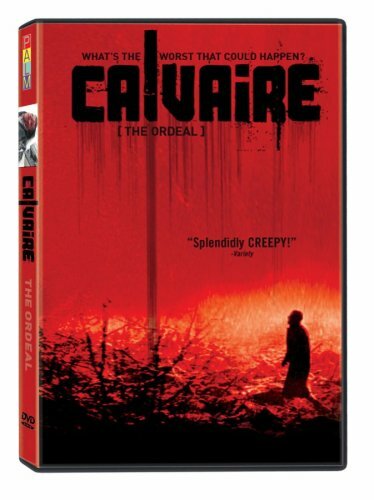 This horror film from France and Belguim is not so much scary as just plain brutal. Laurent Lucas (With a Friend Like Harry, Lemming) stars as a cheesy traveling singer who performs in old folks homes. On the way to his next gig, he gets lost in the woods. The next thing he knows, he's trapped and at the mercy of a town full of creepy recluses. Writer/director Fabrice Du Welz and co-writer Romain Protat rely on Marc's stupidity to get their plot rolling, but they also manage to suggest some genuinely sexual menace right from the get-go. Not to mention that this type of role is usually played by a woman. The title translates, appropriately, to "The Ordeal." It opens today at the Roxie. DVD Details: Palm's DVD release comes with a "making of" featurette, a trailer and preview for other Palm releases.